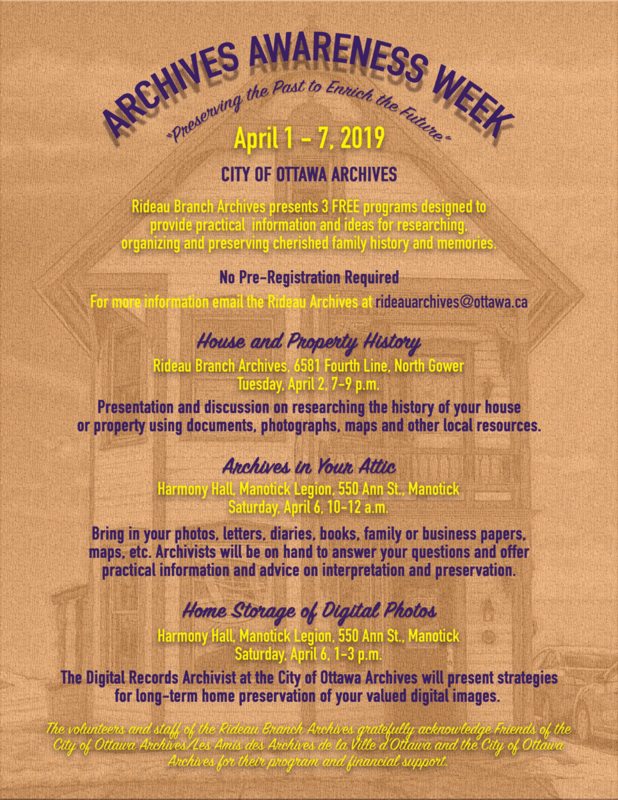 Rideau Branch Archives presents 3 FREE programs designed to provide practical information and ideas for researching, organizing and preserving cherished family history and memories. Presentation and discussion on researching the history of your house or property using documents, photographs, maps and other local resources. Admission is FREE, and no pre-registration is required.